CHRISTOPHER TYNG is a songwriter, composer and producer who has worked with a wide variety of successful artists, and has written music and songs for popular movies and television series in Hollywood over the past 20 years. Through his experience writing, recording, and producing everything from large live orchestras to punk-rock, reggae, folk, neo-soul to electronica and everything in between, Tyng has honed a unique sensibility and a wide palette of sonic techniques, with which to help new artists create and refine their songs and musical identity. Selected artists will be invited to work with Tyng and his team for a three-day period at Star Hill Studio, his private recording facility and artistic oasis hidden in the countryside near Santa Barbara, California. 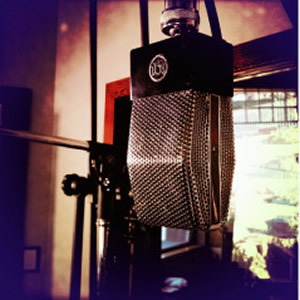 At the completion of their stay, each artist will end up with full ownership and control of their finished song master, to use in whatever manner suits them best; with no producer points assigned or mechanical rights or publishing rights given away, nor any other ongoing financial obligation of any kind by the artist required. Artists can submit themselves for consideration through an online submission form at www.GROWMUSICPROJECT.com. Submissions will open on Feb. 1, 2012. Artist selections and invitations will be announced on a rolling basis throughout 2012, with a goal of twenty-five total artists announced in this inaugural year.